With the completion of the How I Met Your Mother TV series, this great box set is a must for all fans of the show. The Walker Texas Ranger DVD box set includes all 8 seasons of this classic show. Walker, a martial artist, and his partner Trivette are Texas Rangers. They make it their business to battle crime in Dallas and all around the State of Texas. Choose from some of our best selling and classic DVD gift sets at great prices! 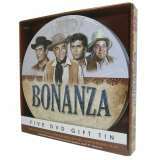 Bonanza MEMDF John Wayne MEMDE The History Of Flight MEMDG Grand Prix MEMDH-Only $9.90 delivery and insurance for delivery within Australia per order, regardless of how many products you order.